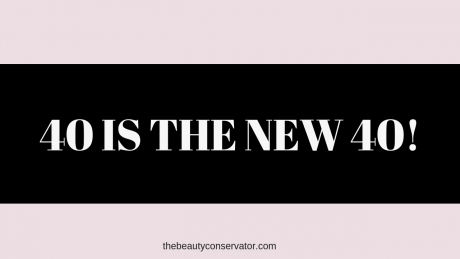 40 Is The New 40, Period! Are there no real journalists left in the world? What are they implying about being 40? You aren’t supposed to be attractive anymore now that your “youth” is gone? Sorry guys, women have been rocking 40 and beyond for decades so lets put that myth to death. I’m not saying it’s not a compliment to hear that you look 10 years younger than someone assumes, of course it is! But in this day and age, what does 40 something even look like? How about 40 is just freaking awesome 40! 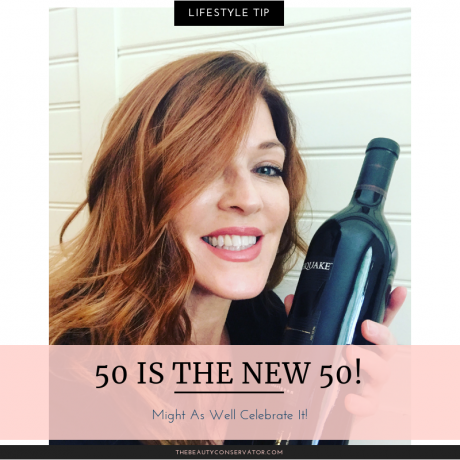 And while we’re on the subject 50 is not the new 40, being fifty is awesome enough on its own. Gone are the days where women lied about their age to appear younger. Most of us have learned, or are struggling to learn, to embrace who we are and are proud to proclaim how many years we’ve been alive. No offense to my beautiful friends in their 20s and 30s, but I would not want to go back to those decades for anything. Though I would like my 20 year old neck back please. My forties have been an absolute blast! This year, I’ll hit another milestone birthday. I’m so thankful for the renaissance of midlife women speaking up about how amazing they feel about their age too. We can’t stop it so we might as well celebrate and make big plans! We are just seeing the tip of the iceberg of midlife bloggers and influencers that are here to remind the world that we aren’t invisible and we don’t want to be portrayed as anything but the awesome, lively, feisty creatures that we are. I can’t say I was ready to embrace the aging process in my twenties. I had a meltdown at 26 because 30 was lurking around the corner. I wanted time to stand still in a screeching halt. This era in my life had come quicker than I expected and I wasn’t prepared. Yes, I know that there are a handful of over 30 women in beauty campaigns but the majority have been in their 20s. As if women in their 40s and 50s want to be sold skincare based on how it looks on their daughters. Thankfully once the depression came and went over turning 30 by the time I turned 40 I had mellowed out some and come to grips with it, but it was a real mental battle. Truthfully my forties have been so freeing and liberating. It’s been a time of reinvention and excitement as I went back to school and embarked on a new career. I am in the process of becoming the person I’ve always wanted to be. So when I see these headlines about 40 being anything other than what it is it infuriates me. I’ve fought hard to overcome the lies in my head that the beauty industry, fashion industry, and Hollywood tell us. It’s ridiculous that we as a society are still valuing youth over living and making the next generation afraid to age. To my friends in their 20s and 30s, you don’t need to be afraid to grow older! It’s awesome and liberating to arrive at this destination. I hope you will quit listening to people that want to control your buying with fear and begin to look forward to these decades. To my friends in their 40s, 50s and beyond, thank you for showing the world that these are the best decades. I’m so inspired by the women who have been fighting this fight and are truly living out their best years. To any journalist trying to be clever with regurgitated headlines that are purely ageist and insulting, we’re not having it anymore. Show us that you can write real articles about real women of all ages. Real women are not channeling Peter Pan and trying to hang on to 30. We may do everything in our power to fight gravity but we welcome moving forward gracefully, with dignity, and with the knowledge that we are a force to be reckoned with! Who are some women rocking 40, 50, and beyond that you admire?